Minutes away from downtown Boothbay Harbor, The Whitten House has spectacular views overlooking Boothbay Harbor Country Club. The house is near BHCC’s new clubhouse which houses a 5 star steak house and a bar and grill with 80” screens and a heated patio. 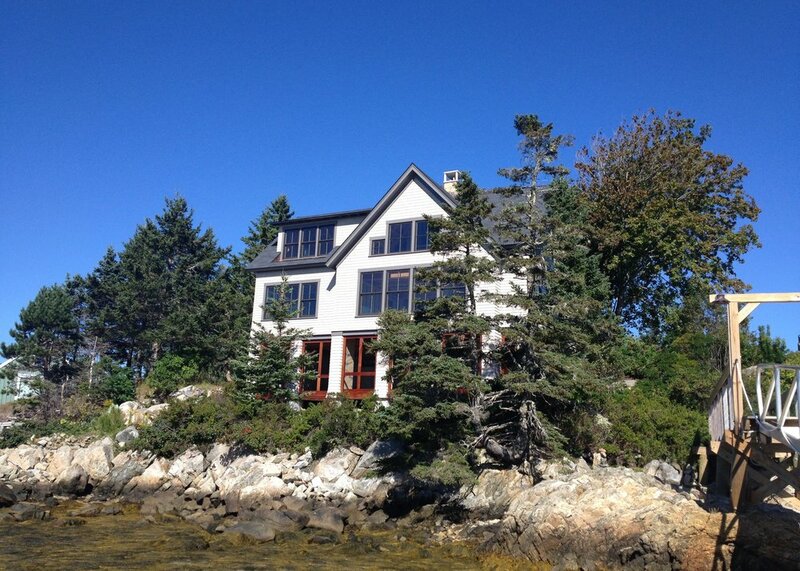 The House at Town Landing sits atop the rocky shore at the southern tip of Southport Island with expansive views to the ocean and Cuckolds Lighthouse beyond. It is gorgeously appointed and decorated with lovely outdoor settings to gather and enjoy the fresh ocean breeze. The Cottage at Town Landing is an intimate setting right on the water with stunning views of Cuckolds Lighthouse. A winding grass path leads from the cottage to the pier below. It is located at the southern tip of Southport Island and can be rented along with the House.